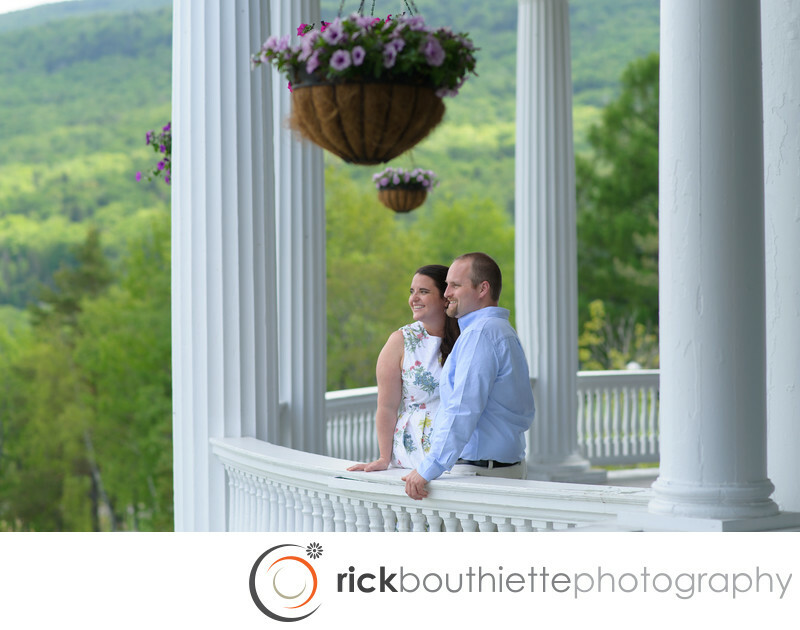 We met Riley and Garrett at the Mount Washington Omni Resort in New Hampshire for their engagement session and it was just beautiful. The weather in the area of 6,289 ft. Mount Washington can be pretty unpredictable, but this day brought clear skies and great visibility. Here, they are standing on the varanda looking out to Mount Washington.